Our deluxe caravan has 3 bedrooms, 1 double and 2 twins. Bedrooms have storage, with duvets and pillows. For a small charge beds can be made up ready for your arrival. No towels or tea towels are provided. Travel cots, bed guards and high chairs can be hired from the Haven reception. The spacious lounge/dining area has comfortable seating, TV with Free View, DVD player, gas fire and electric oil filled radiator. Dining area has fixed seating with extra stools and dining table. Modern fully fitted and equipped kitchen has gas cooker and 4 ring hob, fridge with small freezer compartment, microwave, kettle, toaster, pots, pans, crockery, cutlery and utensils. Bathroom has a shower cubicle, wash hand basin and toilet. Also there is another toilet and wash hand basin. Hard standing parking bay next to the caravan. Water, electric and gas are included in the price. Fun works passes are not included in the price. 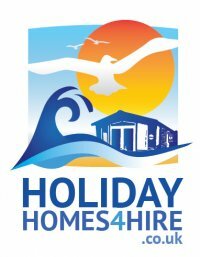 Arrival is 2pm and departure is 10am.A non refundable deposit of £50 is required to secure your booking, the remaining balance to be paid 8 weeks prior to your holiday. A further £50 security deposit is required and this will be refunded within 10 working days if the caravan is left in an acceptable condition on your departure. Primrose Valley is Havens 5* Holiday Park and has direct access to the beautiful beach. There are many activities for all ages including shows, children’s entertainers, 3 swimming pools one an outdoor, a fun pool and pool with slide, fun fair, play grounds, amusements, nature activities, soft play areas, assault course, craft play, boating and fishing around the lake. This list is not exhaustive. There are numerous restaurants including the newly refurbished Lake Side Bistro, Mash & Barrel, Cooks Fish & Chips, Papa Johns Pizza, Starbucks and Millies Cookies. For your convenience there is an onsite shop and launderette. Around Primrose Valley there is beautiful countryside to explore and the towns of Whitby, Scarborough, Bridlington and historical York. Flamingo Land fun park and zoo and Eden Camp are great attractions for all the family. Buses to Filey, Bridlington and Scarborough can be caught near the Haven reception. Also there is a Park & Ride for Bridlington and Scarborough about 10 minutes drive away. We have just had a 3 night stay in this van. There was 8 of us and we managed comfortably. The van is very clean and tidy and has everything you need in the kitchen. The single beds are very small but comfortable. The caravan is a short walk to the main complex. I would definatly book again. We have just come back from a 5 day stay in this caravan and have already booked to go back next year. We had a fabulous time and didn’t want to come home. The caravan is immaculate, has everything you need from crockery, pans, utensils, iron and ironing board, microwave, toaster, clothes airer etc. Beds were very comfortable and had clean fresh bedding on, there was a tv with numerous dvds, an x-box with a variety of games and some board games in the van too. This particular site was only a few minutes walk away from the main entertainment complex which was handy at the end of the night when you are all tired and just want to get back. I would highly recommend this van to others to rent out. Just returned from a 3 night stay at this caravan. This is a dog friendly van, but is so spotless and well maintained that you wouldn’t know it’s had dogs in there. Location is superb, short walk away from the club house but far enough away not to be disturbed by it or people walking by. My only criticism would be that there was only one oven tray, we needed at least 2 as kids wanted chicken nuggets and chips, and then the oven takes a lifetime to cook anything (about an hour for frozen chips and nuggets). But that was the only time we used it so no big deal really - just don’t attempt a Sunday dinner in it lol. I have to say, we loved the caravan so much we really didn’t want to come home. So anyone looking for a nice clean caravan in a good spot, don’t hesitate to book.